Well, well, well what do we have in store for the real estate market now through the end of the year in Northern Virginia? I believe we are in for a surprise this year. We are going to finish the year stronger than many expect. Typically, this is a slower time of year but we haven’t seen as big a slowdown as we normally do during the holidays. The trends show us houses are coming off the market rapidly both through sales and being withdrawn from the market due to it being “that time of year”. But interest rates are at all time lows and buyers are out in full force! In speaking with other professionals – the ones who have been working hard the last few months networking, giving great advice along the way about our market and are communicating with their clients are reaping big rewards. We have one agent, Becky Green, who sold 3 houses this past week – a holiday week no less. Toll Brothers Amberlea in South Riding had 25 visitors on Saturday and we wrote a contract early Sunday morning but I am sure they saw similar activity later in the day – 2 visitors were in the model when we left. An agent in our office wrote a contract on a town house in Herndon and there were 3 others competing for the same house. So much for the slow down around the holidays! So, where are these buyers coming from? Many are relocation buyers coming into the area and others are relocation buyers from the spring who decided to rent. They wanted to get familiar with the market, our area and wanted to wait and see what was going to happen with the economy and housing sector and now, their leases are ending and they are ready to buy. People trust homeownership as an investment over buying stocks (66% to 16%). The stock market has seen its’ tremendous fluctuations and people have no control over which direction the stock will fluctuate. In contrast, upgrading the home adds value and paying down your mortgage increases the equity in the homes plus the many other advantages of home ownership. In addition, they also trust owning a home over investing in a 401k, buying an insurance annuity or investing in a mutual fund. People find investing in a home safer than any other investment except putting their money into a savings account. 96% of homeowners feel that homeownership has been a positive experience – what’s not to like? Stability, pride in ownership, sense of community and many other factors contribute to this positive experience. 17% of renters think renting has been a positive experience which means 83% feel it is negative or neutral. This is a huge disparity which reflects now is a good time to buy! 62% of renters have long-term ownership aspirations – we just mentioned this above in the buyer pool in the market today. Many more will enter the market as their leases come to an end – stay tuned. Americans continue to expect home rental prices to rise more than home prices over the next year. Americans believe that it is more likely that home rental prices will go up rather than go down by a ratio of almost 4 to 1. Right now, we have a 1.7 month supply of rentals and we see rental rates increasing on a year over year basis in our property management group. An overwhelming majority of mortgage borrowers remain satisfied with their loans and 3 in 4 Americans are confident they would receive the necessary information to choose the right loan. The teaser rate products, no income no asset loans, and balloon products are out of the market along with many others that created our housing crisis that we are climbing out of today. Non-financial considerations, such as accessing good education and safety, continue to trump financial reasons for owning a home. With the top three reasons (education, safety, and more space) all increasing in percentages since the last report. People realize how important “home” and one that is theirs is in life. Since the time of purchase, 59% of mortgage borrowers have seen their home value increase. In many markets, prices have stabilized or increased throughout Northern Virginia. It is time to get into the market before the price escalations begin to soar. In conclusion, the Fannie Mae survey showed that homeownership is still considered by the vast majority as a good investment (66%) and a positive experience (96%) and, most importantly to those sitting on the fence, 68% think it is a good time for people to buy a home – and you should! 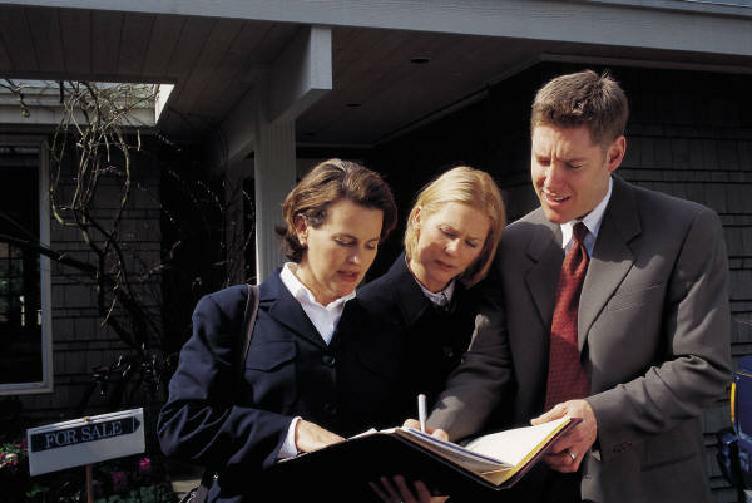 Based upon the information above, it is critical, now more than ever to reach out to a true real estate professional and get the facts on the market and don’t rely on the national media for your real estate information. Who knows, Santa may bring you a nice surprise for Christmas! Get it? Got it? Good! In these tough economic times, its refreshing to know that some places are still looking positive in the real estate markets.